Inactivity is becoming the biggest threat to young people’s long-term health (1). Chris Wright, head of health at the Youth Sport Trust, looks at how a focus on physical activity in your school can give it a competitive advantage in raising both health and educational standards. The issue of inactivity in our children is acute and there is a challenge for all those who play a part in young people’s lives to each do more. Particularly important is how schools respond to the alarming decrease in physical activity levels in young people. Research data shows that for both boys and girls in England the proportion of young people aged 5 to 15 years meeting official physical activity recommendations fell between 2008 to 2012 (2). With Ofsted putting a sharper focus on the approach that schools take to pupils’ wellbeing in the new Common Inspection Framework, schools need to be able to show inspectors what they are doing to get pupils moving more and being healthy. At the Youth Sport Trust we know that increasing daily physical activity in schools, and just as critically, reducing sedentary behaviours, is a magic formula. After all, the mounting evidence is clear. 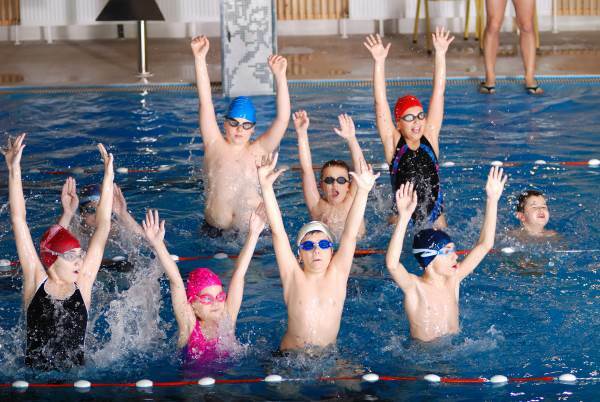 Increased daily activity can increase attendance rates, improve behaviour and have a positive effect on achievement. The best approach for schools to take is a holistic one that creates a movement culture across the whole school and makes being active a normal part of the school day. Now is the time to think about how schools can develop ‘activity with purpose’ that can help to address students’ physical and emotional wellbeing and set the climate for more productive learning. Early interventions and positive experiences that are integrated throughout the school day and built on the foundation of curriculum PE and extra-curricular sport are critical. But they can’t be in isolation. The Youth Sport Trust’s approach to helping a school achieve these principles and the Chief Medical Officer’s physical activity guidelines is the concept of taking a whole school approach to physical activity and taking practical action to get all children sitting less and moving more. Youth Sport Trust member schools have been thought-leading in how increased daily physical activity can be used to achieve key outcomes for the school. Peel Park Primary School, Accrington targeted children in a cohort with high levels of special educational needs including autism and dyspraxia to attend a spin-off from their Change4Life Club called iJOY Board Club. The school also has a holistic approach to physical activity including lesson break activity, a comprehensive after school programme and structured lunchtime activity led by playground leaders. 100% of children are now making progress between Key Stage 1 and Key Stage 2, while 88% have achieved level 4 or above in reading, mathematics and writing at the end of Key Stage 2. Seaton Sluice Middle School, Tyne and Wear has also worked to develop inspiring and engaging extracurricular physical activity through their peer leaders who have utilised breakfast, lunchtime and after school activities. They have targeted inactive pupils in dodgeball, hula hoop challenges and outdoor table tennis which have all had an impact on absenteeism and punctuality. As a result, 98% of Key Stage 2 children achieve Level 4 or above in reading, mathematics and writing, while 100% of children have made two or more levels of progress between Key Stage 1 and 2. Pupils’ SATs results exceeded predictions in reading, mathematics and spelling, grammar and punctuation with 95% achieving Level 4 or above. Church Drive Primary School, Merseyside took a different approach by developing the design and feel of their outdoor space. Installing sports cages has enabled the school to increase their offer for activities before, during and after school and increase informal activity at break times. The most notable impact on pupils has been improvements in the behaviour of Key Stage 2 pupils with instances of disruptive behaviour in class down by seven percent and general adherence to learning tasks increased. Progress has increased particularly in older working class boys and 98% of all children are now making more than two levels of progress between Key Stage 1 and 2. So, is daily physical activity the magic formula for schools? At the Youth Sport Trust it’s an equation we know the answer to. Active children equal better learners. To hear more from Youth Sport Trust join us at the PE & School Sports Conference & Exhibition, 18th November 2016.